BRIGHTON, MI- So we all know that the household can get crazy hectic when the kids head back to school and normal routines pick back up after we’ve gotten used to our lazy summer days. 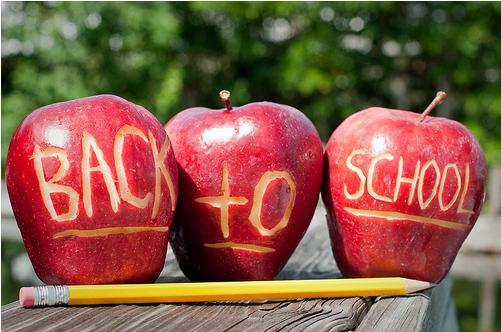 Fear not, we have some Tips for Back-to-School to ease the transition for you and your little one. · Take a Tour of the School - Getting comfortable with the school and pointing out where important areas, like the bathroom and nurse’s office are, will help your child feel more comfortable on the first day. For middle school or high school freshman, walking your class route can be helpful too! · Drive the Bus Route - Since riding the bus can be scary for little ones, taking them on a drive of their bus route can familiarize them with landmarks, the length of the ride, and make them feel comfortable about getting off at the right stop. · Wake Up - If you haven’t started yet, ease back into the school schedule by waking your kids up a little earlier every day and enforcing earlier bed times so that crankiness will be at a minimum on the first day! Last but not least, an important parent Back-to-School Tip is to avoid any unexpected car problems during the first week by getting Oil Change Coupons in Brighton, MI or Brake Shop Discounts for Pinckney, MI at Brighton Ford.